Maldive Economist: We need to reform IMF...? We need to reform IMF...? Over the past 60 yeas, the world economy has become very inter-dependant. Due to globalization, development and crises have a contagious effect within regions. Further, as highlighted by Buira in his article, improvements in technology and communication , for example greater use of Internet and information technology has led to formation of an “international capital market". 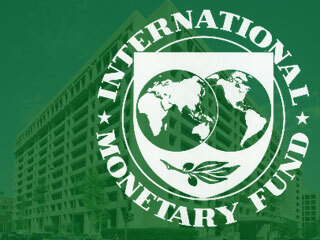 The governing structure of IMF was formed in 1944 under the Bretton Woods Conference. However, a lot have changed since then in terms of size of economies, population of countries, share of world trade, reserves, and countries’ abilities to contribute to financial resources. Hence, it is evident that there is a need for reform of this important multilateral financial institution in order to achieve more effective financial global governance. Here, I will highlight the main issues on the IMF Reform agenda put forward few years back. According to Article I of the Articles of Agreement of the IMF, one of the main purposes of the Fund is to ‘promote international monetary cooperation through a permanent institution which provides the machinery for consultation and collaboration on international monetary problems’. In order to achieve this important mission, Article IV of the same Agreement stipulates that all member countries are required to collaborate with the Fund to assure orderly exchange arrangements and to promote a stable system of exchange rates. However, recently the Fund has very much being criticized on its inability to influence the policies of powerful countries like USA, especially even when economies of such countries have a significant impact on the economies of developing countries. One such criticism is that, “when the Fund consults with a poor and weak country, the country gets in line. When the Fund consults with a big and strong country, the Fund gets in line”. As Ariel observed, ‘the world moves away from rules-based multilateral system to a power-based system’, whereby, larger powerful countries ‘go their own way based on their short term interests’ (Ariel 2005). This was very much evident during the time when the United States Treasury responded to an IMF report, which highlighted the importance of the US current account deficit and the growing indebtedness, by stating that Treasury did not consider that a correction was necessary in its domestic policy (Ariel 2005). In order to overcome this problem, the Managing Director’s Report 2005 recommended, ‘more incisive analysis of specific weaknesses and distortions that risk crises and contagion or hinder adjustment to gloabalization’. The Managing Director’s Report further describes various specific action plans that can be implemented to achieve the above mentioned recommendation; global surveillance, multilateral dialogue, financial market surveillance, having standards & codes, regional surveillance, country surveillance, and communications strategy. The Managing Director’s Report outlines specific actions to be taken in terms of the Fund’s role towards the advanced, emerging and low-income countries. With regard to advanced economies it is recommended that global implications are integrated into country specific policies. Emerging market economies are characterized in the Report as the ones that need crisis prevention and resolution due to their high ‘risk of boom-bust cycles emanating from the volatility of capital flows’ (IMF 2005). Improving financial insurance in these countries is also on the agenda, with particular emphasis on helping member countries to ‘develop local financial markets and instruments’. Finally, the role in low-income countries is recommended to be more focused, with more flexibility, more emphasis on the Millennium Development Goals, and having fewer procedures. The Fund recognizes the need to further strengthen its ability to provide technical assistance to countries in the area of capacity building and improving institutions. The specific action recommended by the Fund is ‘to give area departments the central role in setting technical assistance priorities in the context of Article IV surveillance and Fund supported programs’. The Fund also acknowledges the need to enhance fiscal transparency and governance as they play an important role in the development of economic institutions. Although the need for better institutions and capacity building is acknowledged and important, it is questionable how much overlapping and duplication is present in terms of providing technical assistance to member countries, between IMF and the World Bank. Hence, further reform in this area needs to consider this aspect and coordinate better with the Bank on matters relating to capacity building. The Fund highlights the need ‘set priorities for the next few years based on a country-by-country analysis’. The Fund also needs the reorganization which is necessary to implement the various components of the budget and hence recommends better organization of expert staff, departmental structure, management, executive board, and international monetary and financial committee. In order to achieve the mission of IMF more effectively, it needs to reallocate quotas and voting rights in order to reflect the changes that has taken place in the world economy during the past sixty years. The reallocation should be in such a way to reflect the interests and power of those countries whose share in the world economy has increased, and in general, in a way that the legitimacy of the Fund could be greater. The G-7 Finance Ministers and Central Bank Governors met in Tokyo on February 09th 2008 and discussed about IMF reforms, reaffirming their support on the IMF surveillance decision on exchange rate, fiscal and monetary policies. In their statement they expressed their support for the “proposal of the Managing Director to refocus the Fund’s operations on core priorities”. This is a positive message that reflects the commitment from the richest nations of the world, and is expected to have a significant impact on the reform agenda of the Fund. The reforms outlined above are those highlighted in the Managing Director’s Report, 2005 and in addition to these, there are few other areas that need attention. Some of them include, making the work of the Fund in the member countries more ‘demand-oriented’ taking into account the local circumstances and needs of the countries, rather than being ‘supply-oriented’ by the replicating what is being done in many other countries. In some countries, some of the new projects or policy recommendations are suggested and being ‘forced’ to be developed into loans, even though such loans are not diverted to the most efficient use or sector. In the meantime, there are many other areas that need special attention and assistance, but unable to attract the attention of the Fund or the Bank, as the officials of these institutions do not feel that they are important. Finally, it has to be emphasized that rich and powerful countries need to be brought on-board in understanding the importance of global financial governance, and the relative effects of global integration, and thus adapting policies that can have positive impacts on the world economy. In order to achieve ability to force corrective action on its members, the Fund needs reorganization and reallocation of its quotas and voting rights. Reallocation of quotas is also important in order to improve the legitimacy of the institution and hence, achieve the core objectives of the Fund.